LoanerTrak is an advanced, client-server based medical loaner device logistics application running in Fortune 500 medical companies since 2000. There are a full range of features to handle all aspects of Loaner Inventory Management, developed over decades of hands-on experience working alongside actual Loaner Technicians. 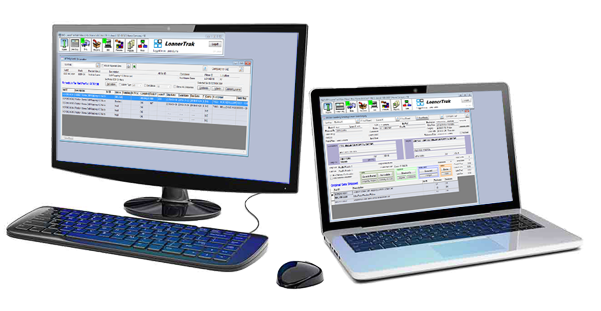 Numerous built in functions automate many manual steps for the user, but one of the most powerful features of LoanerTrak is the ability to schedule loaner sets in seconds. Adding the WebPortal browser-based application will provide a full software solution from the field to the supplier. Specific features relating to each LoanerTrak subsystem are detailed below. •	Loaner "types" change the name of the event beside the date selector field on forms. Example: loaner type "s" for standard, displays "Surgery Date". "w" displays "Wkshp Date" in the booking screen. •	Instant confirmation of set availability as date is changed. •	Missing items are automatically recorded and display to the customer in the WebPortal screen, and in the LoanerTrak Billing screen. •	Issues with received sets can be logged in the receiving screen. •	Info can be exported to a csv file that can in turn be imported to an external accounting system. Note: export fields are selectable in global settings. •	In field replenishment creates one main replenish set that is added to with each replenish order. User moves items back into sets in field from the main replenish set. Easier to track. •	Option to stop user from continuing with certain functions like shipping if at least one lot is expiring. Set in global settings. •	Set up internal handling steps and assign to Internal Handling categories. Assign categories to sets which activate when the set is received or are received to loading dock. Internal processing codes can be customized for each set type. •	Server based Python emailer. •	Add additional cc email addresses to auto-email options. •	Late Loaner Notify processing screen previews late loaner notification list before sending. User can remove recipients from send list. •	Counter badges appear over book, ship, bill and process buttons indicating the number of new pending items requiring attention. Example: badge over ship button indicates the number of orders to be shipped that day. •	Multi company access. Users in different companies can access data. LT DataSync is a separate customized application that runs on the server that helps migrate data from your company's mainframe system, such as Customer, Field Rep, Product Master, Lot Expiry, GTIN data, and synchronizes it with LoanerTrak's data tables. Because each company's mainframe software and access policies are different, we leave it up to our customer to decide how DataSync reads the company data to be synchronized. The LT Emailer is an add-on component that runs on the server and sends all LoanerTrak and WebPortal generated emails to specified recipients. In LoanerTrak's Customer, Ship to, and Field rep screens, there are checkboxes that allow you to configure who receives an automatic email and at what point in the loaner process (example: when a loaner is shipped). LT Emailer is included with the LoanerTrak application.